WE ARE PLEASED TO PRESENT OUR PREFERRED CORPORATE PROGRAM PROVIDERS – RACING ADVENTURES! The Racing Adventure programs have created a very successful Corporate Event environments for relationship and team building for many multinational companies over the last 25 years. 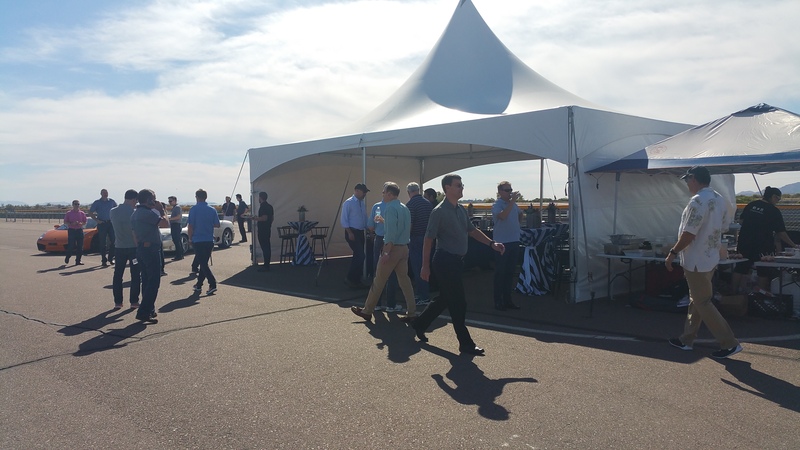 We have created Corporate Incentive Events for companies such as IBM, Hewlett Packard, Microsoft, Nike, Texaco, Pepsi, Toyota Lexus, plus many more compliment our services by returning every year or even several times a year! Our programs are much different than the others as they are specifically and individually designed to help you meet your corporate meeting or entertainment goals. Our super cool supercarscars, our personalized service and flexible on-track programs allow a great place for camaraderie, relationship building and a memory that draws together future conversations. Allow us to show you how easy and successful your corporate event can be. Call today and ask for David.” Hundreds of ‘fortune 500’ CEO’s can’t be wrong! Let us create a custom team-building event with one of our Racing Adventures corporate events. We work with you to fulfill your corporate goals and create personalized activities that excite, reward and motivate new opportunities while creating lasting memories. Get an edge on your competition and reward your customers, associates, staff and management. The Racing Adventure events are an excellent programs to offer your highly valued customers, associates, staff and management to keep them excited and involved with your company. We know from the experience of many of our clients that Racing Adventures is a creative and alternative entertainment, team building choice that is sure to be successful. But…. most importantly we also fulfill corporate and group goals such as, loyalty programs, rewards programs, product launches and team building programs. Our corporate events are designed to motivate sales staff, increase staff production, boost customer loyalty and much more. We can offer anything for a few hours to a few days! The ‘Racing Adventure’ affords the opportunity for anyone to learn some basic skills in a real racecar in a very cool controlled environment. Our programs are different than the others as they were, from the beginning, specifically designed to help meet corporate entertainment, reward, incentive goals as well as legitimate team building needs. Tasks and exercises promote cooperation, mutual goals, planning plus so much more. With our experience, our cars, our personalized service, client handling and our on track programs we have many advantages in comparison to other similar products in the market. It is all about that Unique Experience that you can not get anywhere else! Bottom line – Allow us to show you how easy and successful your corporate event can be! Corporate programs are not only our specialty but 85% of our business. That’s why we get it right for you and your customers every time! We can provide specialized company swag. Just let us know what you are looking for! Very popular in the corporate environment is to treat your guests to the Exotic Supercar Experience. Your guests can drive Aston Martin, Audi R8, Cobra, Corvette, Ferrari, Lamborghini, McLaren, Porsche and more! Your guests will arrive to a greeting of coffee, juice, muffins, pastries and the friendly smiling Racing Adventures staff. After a short chalk talk and on-track familiarization tour each guest starts with laps around the race track with a professional driver coach by their side. Additional laps and car types can be included. 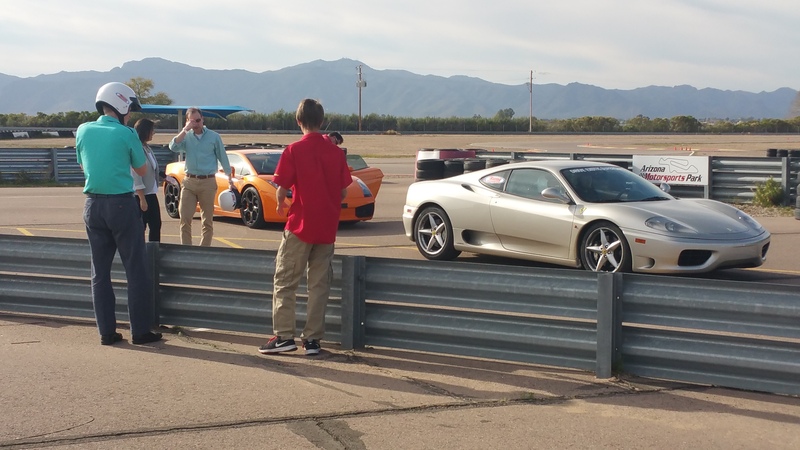 We have a selection of cars and can tailor the program to your needs and laps per person. Your investment will vary by group size, laps run and type of cars you are driving! Beverage and snack service are always included as well as an 8X10 e-photo of each one of you guests. Meeting space, souvenirs and catering plus so much more is possible! Your guests will arrive to GrandSport Karting center and greeted with coffee, juice, muffins, pastries and the friendly smiling Racing Adventures staff. A short ‘chalk talk’ explain basic track techniques will be followed by fitting everyone with racing helmets and kart assignments. Then the exciting on track fun begins! Each guest will have a qualifying practice session and two 10 minute races with their piers. After the track sessions it’s graduation time where the 8X10 color e-photo. EVERYONE will be smiling from their exciting karting experience! GrandSport has a very cool Vintage Racing themed Meeting/Conference Space. From small to groups as large as 100 people or more. It has all the amenities required for a successful corporate meeting! Hip stylish decour, cool cars hanging around to view, full catering plus so much more! If the aforementioned options aren’t quite right, please give us a call. We can work with you and your schedule to design a program that will work for you and your guests! Quality embroidered golf shirts, race suits, hats, tote bags, model cars and many other souvenirs are available at your request. Swag! The best souvenir will be the unforgettable experience that you have afforded them. It was new, unique and great fun and fulfilled your guests’ dreams of driving a racecar! What do we do differently on the racetrack? We maximize the amount of track lapping time and limit the talk time. We allow the guest to lap the full track on the first day. We don’t embarrass your clients by asking them to crawl through a car window to get in and out of the car or squeeze into a tiny single seat formula car. We have been working with meeting planners and corporate incentive companies for over 30 years. We understand and have the experience to make you meeting successful! Please call us a call with your desired date and location. We will check and see if the equipment and track that you request are available. If they are… we have a date!! Please note: The racetracks are very busy and therefore demand that we book them well in advance if possible. The more lead time the better. What about Corporate Event Management? Our company has been involved in many areas of corporate and event management. We will work with you to deliver the best possible and professional program and make sure it is successful for everyone involved! Tents, transportation, souvenirs, special gifts, catering, meeting spaces, AV equipment and so much more. This is why they keep on coming back!